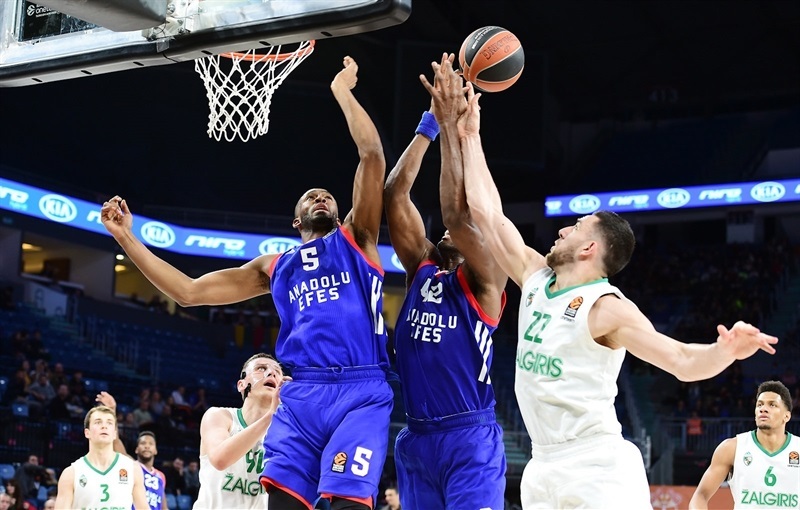 Zalgiris Kaunas pushed itself closer to a historic playoffs qualification by downing host Anadolu Efes Istanbul by 70-86 on Friday. It was the fifth road win of the season for Zalgiris, whose record rose to 14-9, which now ties them on victories for fourth place. 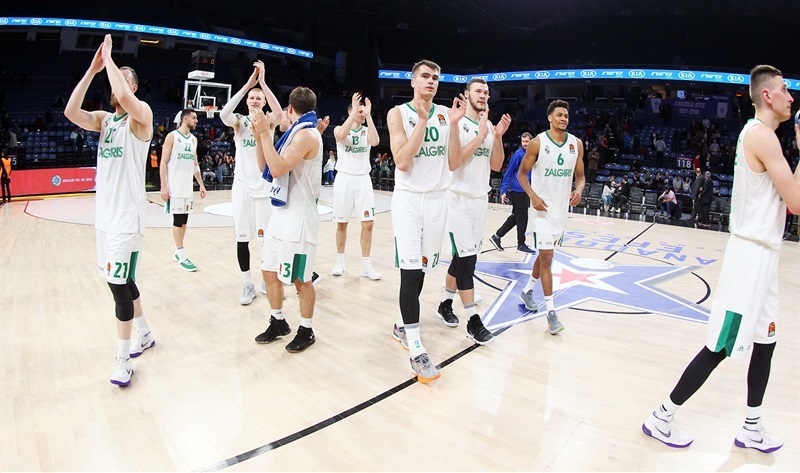 After the first quarter, Zalgiris took charge little by little until going up 61-81 midway through the fourth and cruising from there to victory. 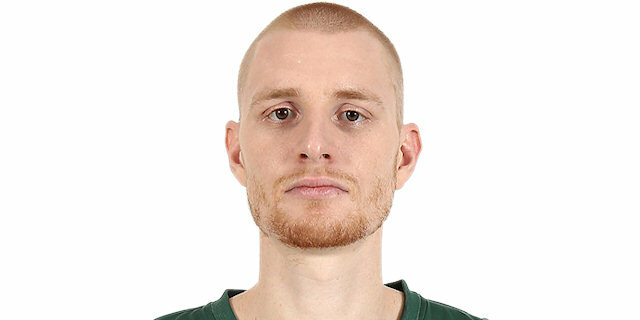 Aaron White was perfect for Zalgiris with 6 of 6 two-point shooting and 3 of 3 free throws for 15 points. 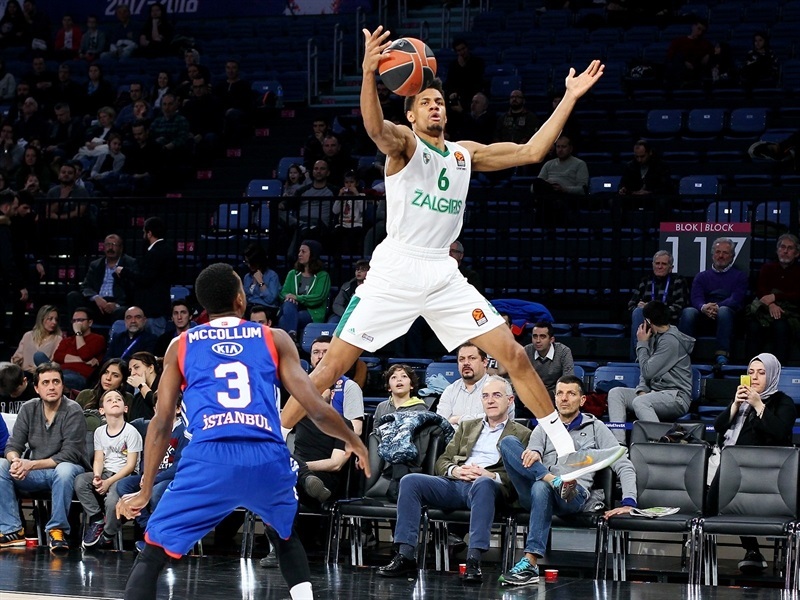 Brandon Davies added 12 points, Vasilije Micic and Arturas Milaknis 11 each and Kevin Pangos 10 for the winners. 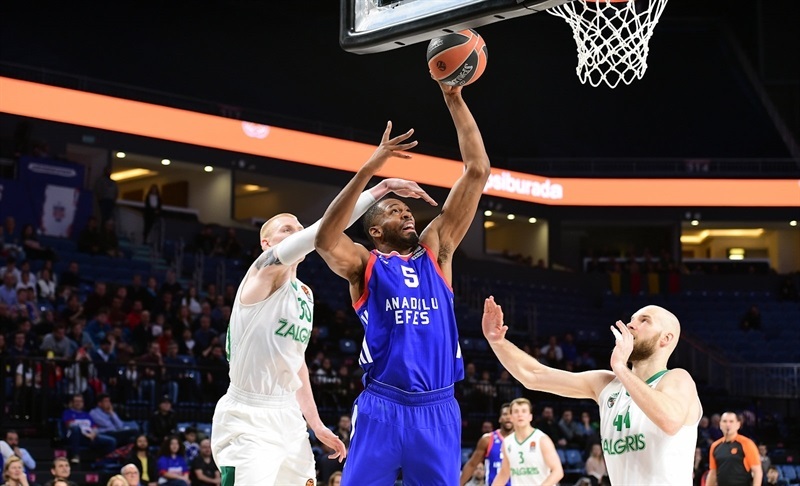 Errick McCollum scored 14 for Efes, which played without Krunoslav Simon, Dogus Balbay and Zoran Dragic – the latter of whom is out of the season. 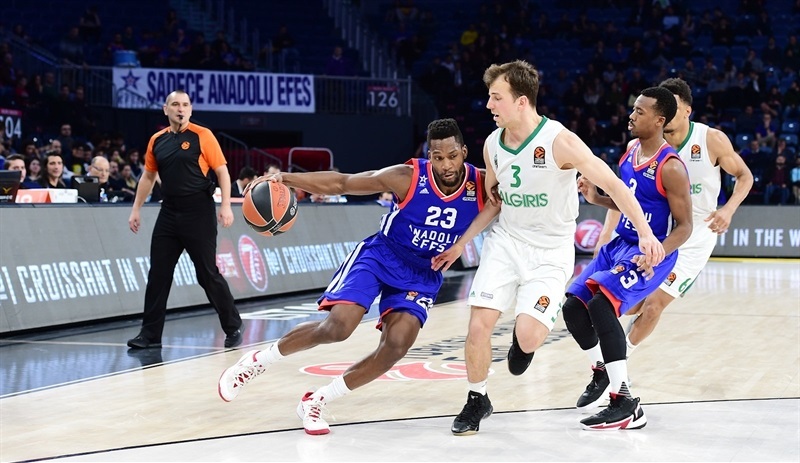 Toney Douglas hit for 13 points, Brock Motum for 12 and Bryant Dunston for 11, but Efes remained in last place with its record falling to 6-17. Motum's triple against his old team opened the scoring. 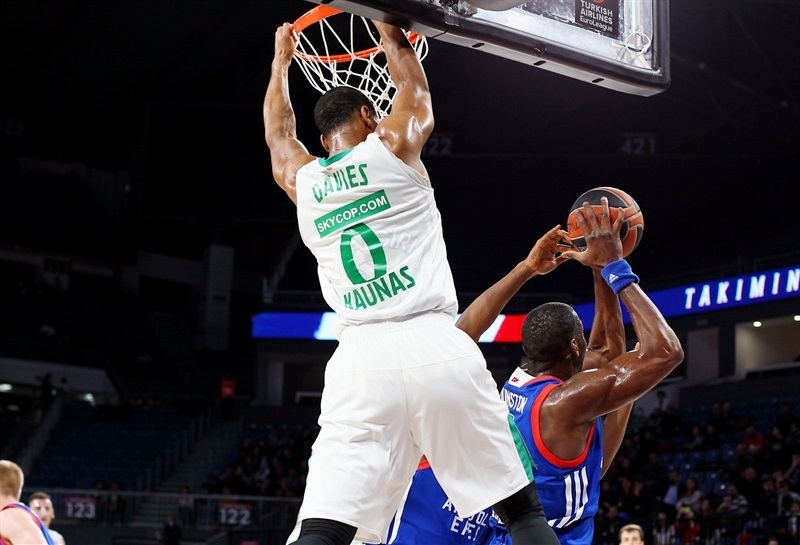 Ulanovas fed Davies for a dunk as Zalgiris tied, but Douglas struck from deep and soon added 2 more three-pointers at 16-11. Micic came off the bench with a triple that Brown answered with a dunk. A put-back by Antanas Kavaliauskas cut the difference before Pangos hit from deep for an 18-19 Zalgiris lead. 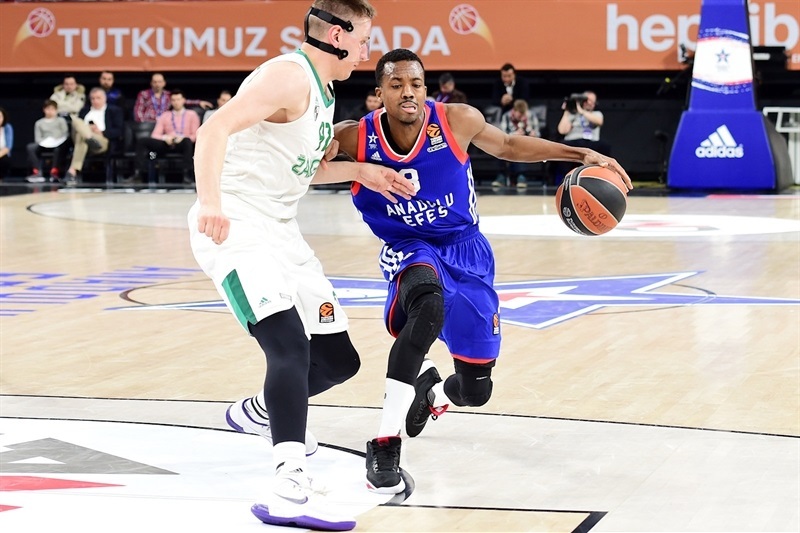 Dunston finished a break in style before Muhaymin Mustafa's layup put Efes back in front, 23-19. Micic got a basket back for Zalgiris but Dunston blocked Pangos on the first-quarter buzzer to preserve a 23-21 lead. Derrick Brown fed Vladimir Stimac to open the second quarter, but Aaron White converted a three-point play and slammed an alley-oop pass for a new lead change at 25-26. Micic kept scoring and fed Paulius Jankunas to make it 27-30. 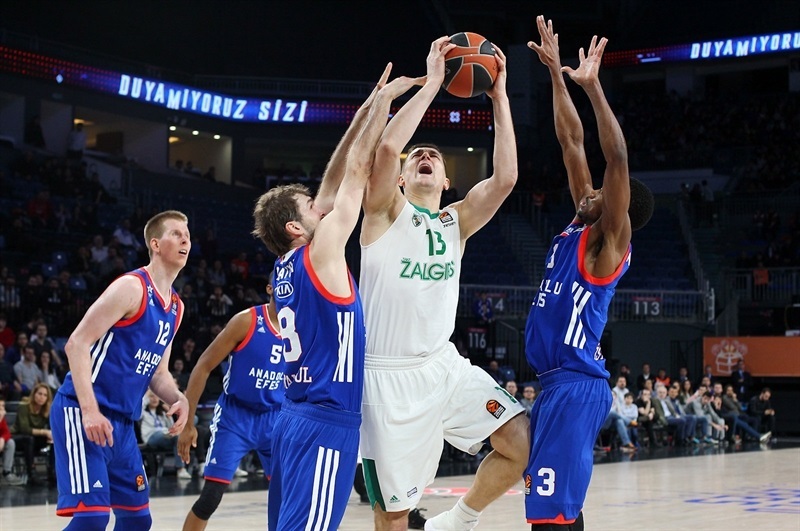 Paulius Valinskas stepped up with 5 points in a row to give Zalgiris a 27-35 edge. McCollum's first basket was well timed, and then Motum banked a triple from the wing and hit a reverse layup at 34-37. Davies and Douglas traded free throws before Micic scored inside and Ulanovas stole for a breakaway dunk. After a timeout, Axel Toupane had his own fastbreak dunk alone Zalgiris finished with a 2-8 run to hit the lockers with the game's biggest lead yet, 36-45. Douglas scored first after halftime but Davies quickly matched him. Likewise, McCollum's reverse was answered by White dunking alone. Ulanovas drove for a 42-53 lead and Zalgiris was content to trade baskets, with White's Statue of Liberty slam making it 46-57. When McCollum struck from long range and hit 3 of 3 free throws, Milaknis answered in kind, but with on free throw fewer to make it 52-62. Motum and Kavaliauskas scored in close before White's free throws and Micic's fastbreak meant a new high lead, 54-68. McCollum's block led to Mustafa's fastbreak layup on the last play of the third quarter, and his floater made it 58-68 to open the fourth. Milaknis rolled in a triple, but Brown soon matched it at 61-71. Milaknis struck again, however, Pangos hit a runner and White went coast to coast for a layup that broke the game open at 61-78. Pangos added a three-pointer for a 20-point lead, but Birkan Batuk erased it. Dunston lowered the difference to 66-81. 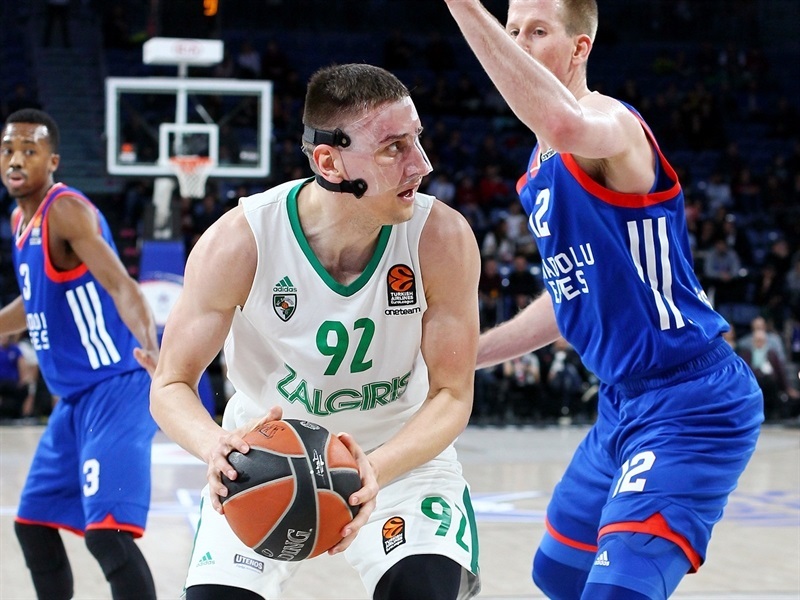 The handwriting was on the wall and Zalgiris was content to trade points the rest of the way to a good-as-gold 70-86 road win. "First quarter, we were successful playing our regular game. On offense we moved the ball well and got an advantage. Starting in the second quarter, when we subbed our bench players, we made a lot of mistakes, especially on offense and turnovers. We gave them a chance to find fastbreak points. The second half was the same. Tonight we played with a very short roster. This was very bad luck after the Turkish Cup, as we lost in three starters in three days, and it was really difficult to play against Zalgiris. 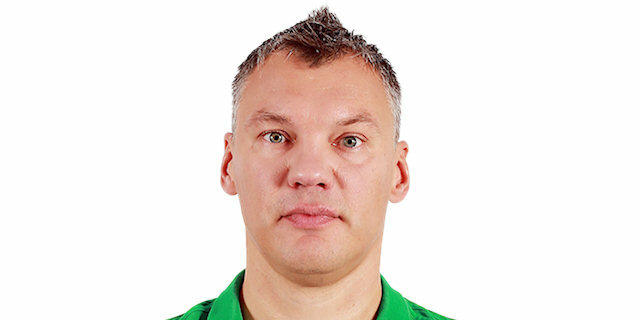 Really they play good basketball in this EuroLeague and I think that this result is normal for this game tonight." 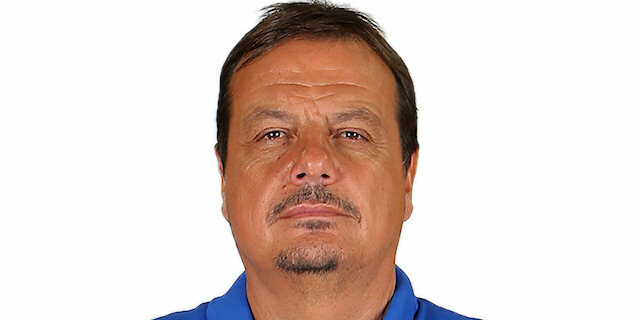 "I think Efes is a very talented team. I know they are missing some players, but they still put a lot of talent on the court. We had to win on the road, and in order to do that, you have to take their points down. We didn't do it in the first quarter, but after that more or less we were OK. Some ups and downs, like always with a young team, but a win is a win and we are very happy." "We just played together as a team in the second half. We didn't have a great start in the first quarter, so we had to pick it up, play good defense and go from there. 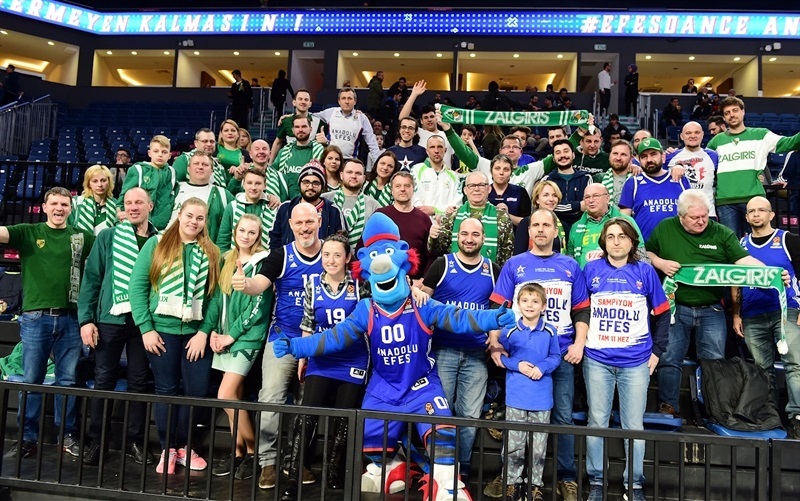 For a team like Efes, with a lot of good individual scorers, we had to play good team defense and we were able to do that the last three quarters."